Request for ViV (Vehicle in Vehicle) version of trucks. A variant of each truck with the rear benches/cargo positions removed and vehicle in vehicle area defined in the cargo area. Objects (ex. 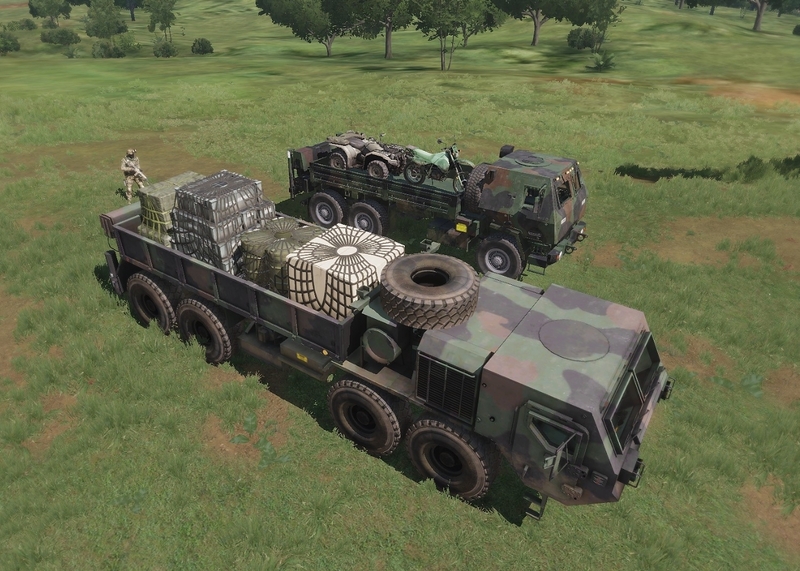 crates, props, small cars, quads, bikes, etc) can be loaded into the ViV area using the command veh setVehicleCargo cargo. Chairborne added a subscriber: Chairborne. Should be reasonably easy to do, will be looked into.